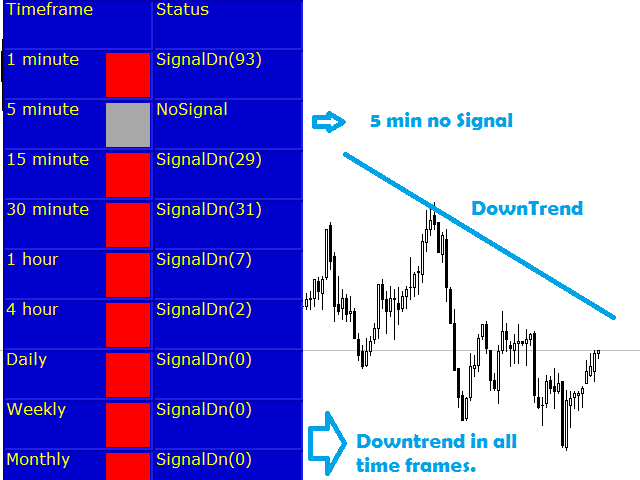 The indicator shows the trend across all timeframes. It will show sideways, up trending and down trending directions. It is suitable for both day trading and swing trading. 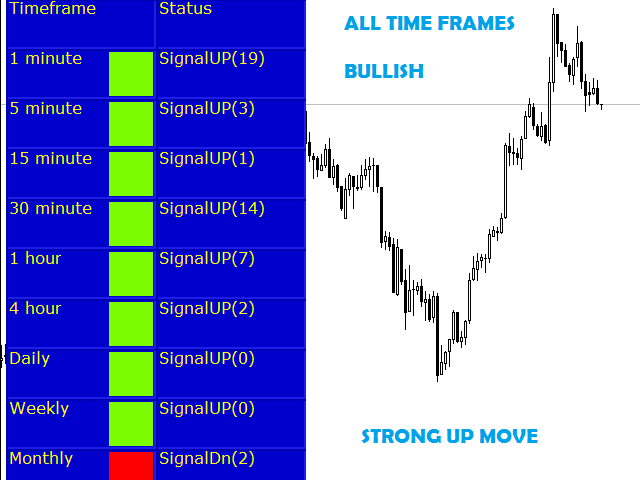 Provides strong moves when all timeframes are bullish or bearish. 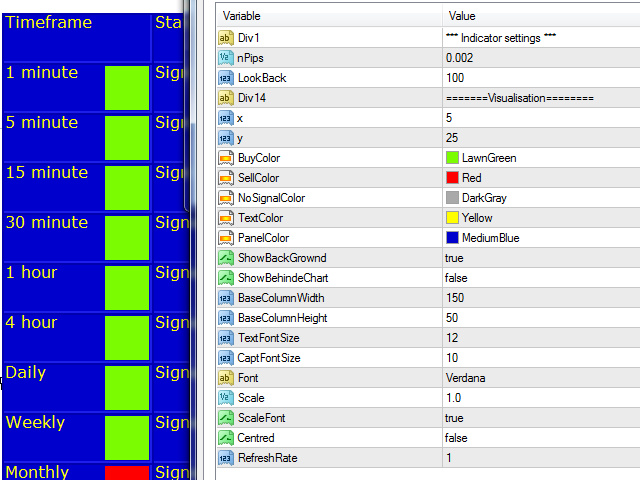 The sensitivity of the trend strength identification can be customized. 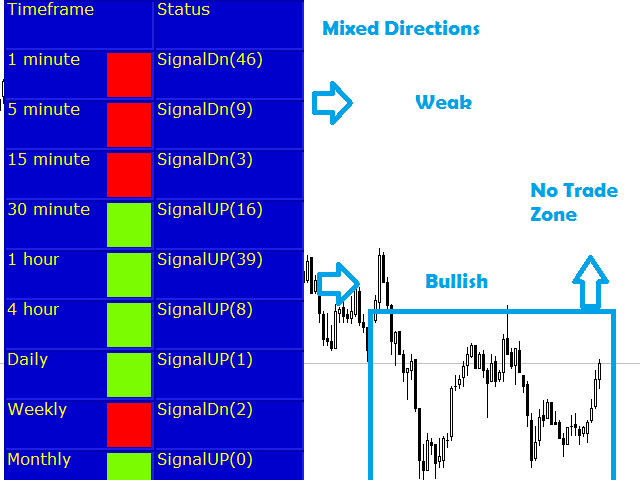 nPips=0.002 - Setting to customize the sensitivity of the trend strength. LookBack=100 - The look back of the period for checking the trend strength.